Thermoshield Stucco Shield can be applied in place of paint or as an alternative to multiple-layer stucco systems. It is a water-based coating, so it can be applied quickly and easily, saving you time and/or labor costs compared to other stucco options. Despite the convenient application process, Stucco Shield provides more benefits than standard paint and stucco. It consists of a compound made with acrylic polymer resin and hollow borosilicate ceramic microspheres. The microspheres reflect and refract heat away from the surface of the stucco walls, and the polymer resin protects against water damage by allowing vapors to escape easily. Furthermore, when it is applied correctly, Stucco Shield creates a seamless membrane that not only covers the kind of hairline cracks that are common in stucco walls, but also keeps new cracks from forming. 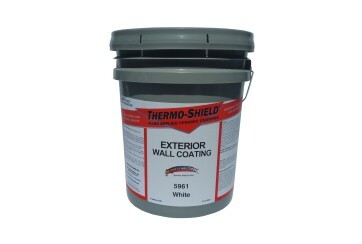 Stucco Shield works on both interior and exterior wall surfaces. It adheres to drywall, wood, steel, insulation board, bricks, concrete, existing stucco and other surfaces that meet local building code regulations. 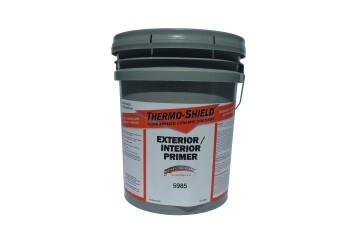 Stucco Shield consists of a base coat and a finishing coat. Both of these are pre-mixed, so you do not have to worry about mixing the correct proportions. 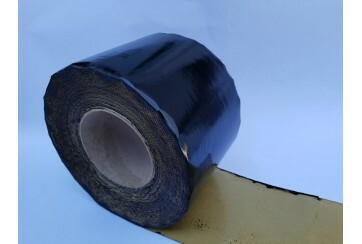 Temperatures must be above freezing for 48 hours and above 10 degrees C for 24 hours after application. Avoid applying when precipitation is forecast. After the base coat is dry, the finish coat can be applied to the entire structure. Base coat one hour to set, 12 hours to recoat. Finish coat 40-70 hours to completely cure. 1. Apply a coat of Thermoshield® Base Primer Coat to the entire surface. 2. Prepare corners and joints with recommended corner bead, mesh and Stucco Finish Coat and allow drying. 3. Apply a coat of Stucco Finish Coat to the entire surface. Use sprayer, trowel or texture roller for desired texture. 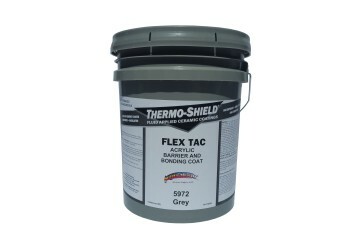 TROWEL APPLICATION: Thermoshield® Stucco Finish Coat may be applied directly from the pail to the wall surface at a uniform wet thickness of 3 mm with a coverage of 2 to 2.6 m² per gallon depending on the trowel finish desired. SPRAY APPLICATION: Thermoshield® Stucco Finish Coat can be spray-applied with a commercial spray apparatus. Various textures may be achieved, from a very fine sand finish to a heavy plaster coat. BASE COAT: Roller or airless spray application is recommended. Use a roller with a minimum 3/4 “ nap or airless spray unit with a tip orifice of .031” and 2200 to 2500 psi of pressure. Either a roller or airless sprayer can be used for the base coat. The finish coat can be applied with a trowel, roller or sprayer with a texture gun. 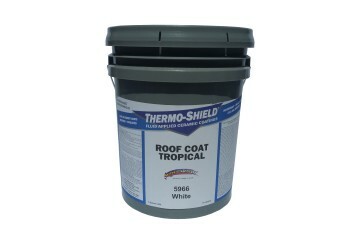 Stucco Shield can be applied directly from the pail using a trowel. It should be spread to a uniform thickness of 3 mm. Spray textures can be varied with different texture gun attachments. 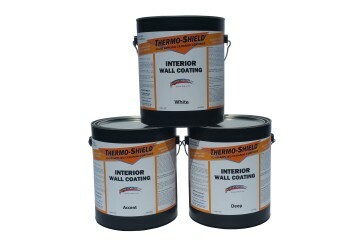 Since Stucco Shield is water based, the equipment can be cleaned with warm water and soap. Shelf life: two years if stored between 10 and 32 degrees C.